We looked at the top 10 Hoverboards and dug through the reviews from 104 of the most popular review sites including Gadget Review, Best Reviews Guide, Tech Gear Lab, The Self Balancing Scooters, Review Institute, ALT Riders and more. The result is a ranking of the best Hoverboards. Our experts reviewed the top 10 Hoverboards and also dug through the reviews from 104 of the most popular review sites including Gadget Review, Best Reviews Guide, Tech Gear Lab, The Self Balancing Scooters, Review Institute, ALT Riders and more. The result is a ranking of the best of the best Hoverboards. If you're looking for a hoverboard that can handle any terrain, the EPIKGO has you covered. It can easily go from dirt to pavement and back again, thanks to its larger wheels and powerful motors. You'll also get a hoverboard that contains a long-lasting battery and is certified as safe. DWYM Entertainment Experts plus Reviews.com, Digital Trends, BestReviews, Lifewire, Tech Gear Lab, Your Best Picks and 3 more. Along with user reviews from Amazon. "Among the UL 2272-approved boards, the Epikgo Classic, Halo Rover, Jetson V6, Razor Hovertrax, Segway miniPRO, StreetSaw RockSaw and Swagtron T3 consistently topped online “best-of” lists." "The Classic isn’t as flashy as the other boards on our list, but it’s got a certain rugged je ne sais quoi that earns it a spot on our list." The SWAGTRON hoverboard excels in all its safety tests, making it a great buy for the conscientious consumer. You won't get the battery life you'll find with other models, but the price makes it worth considering. You'll also get great maneuverability and downhill traction. 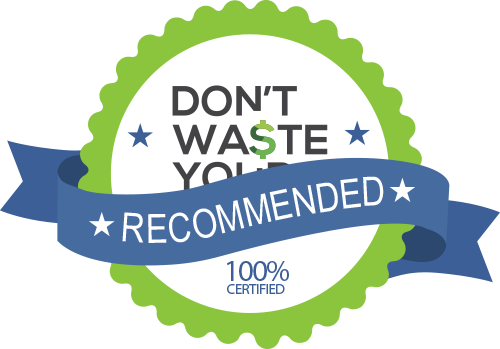 DWYM Entertainment Experts plus Reviews.com, Digital Trends, BestReviews, Lifewire, New York Times Wirecutter, Your Best Picks and 1 more. Along with user reviews from Amazon, Walmart, Best Buy and Target. "Overall, each board did what it was designed to do: go forward, backward and turn with minimal effort. But as we zoomed around our office for a few weeks, a few boards began to stand out: The Segway miniPRO was..."
"Swagtron, one of the most popular brands, has several board options that are certified safe, but the differences between the X1 and X2, as well as the T1, T3, and T5, are difficult to discern. A little transparency goes a..."
For those who plan to ride primarily on flat surfaces, the TOMOLOO offers a smooth, stable ride. You'll also get safety certification for your peace of mind, including a fire-retardant shell. If you ever find yourself stuck in the rain, this model will continue to run, thanks to water resistance. DWYM Entertainment Experts plus BestReviews, Your Best Picks, ALT Riders and 1 more. Along with user reviews from Amazon. "Offers a stable ride and good self-balancing. Parents will appreciate the higher safety rating on the battery." "Twisting your feed and the center axis bridge—is difficult to do. It’s not just difficult, but very touchy." Segway is a respected name in scooters, and it doesn't disappoint with its hoverboard. The MiniPro can jerk from time to time at lower speeds, and braking can be slower than with other models. However, the extraordinarily long battery life makes it popular with consumers. DWYM Entertainment Experts plus Reviews.com, Digital Trends, BestReviews, Lifewire, Tech Gear Lab, Gadget Review and 3 more. Along with user reviews from Amazon and Walmart. "The miniPRO was also the best at handling inclines: None of the boards were quick to accelerate uphill, but the miniPRO was able to reach normal traveling speed after a few seconds — other hoverboards barely managed a slow crawl..."
"Auto slowdown at 10 mph is jerky." We identified the majority of the hoverboards available to purchase. Reviews from our DWYM category experts and analysis of some of the most respected sources including: Gadget Review, Best Reviews Guide, Tech Gear Lab, The Self Balancing Scooters, Review Institute. Among the UL 2272-approved boards, the Epikgo Classic, Halo Rover, Jetson V6, Razor Hovertrax, Segway miniPRO, StreetSaw RockSaw and Swagtron T3 consistently topped online “best-of” lists. Some of the strongest motors in any hoverboard. 265lb maximum weight. Fantastic lights for maximum visibility in darker areas/nighttime setting. Smart battery for extended play. The sturdy tires made of solid rubber can cruise in any type of terrain effortlessly. Whether it is grass, pavement or dirt road, the hoverboard delivers top line performance irrespective of the road or weather condition. Though the Epikgo Classic, Halo Rover, Razor Hovertrax and StreetSaw RockSaw performed adequately, the riding experience wasn’t quite as smooth, and they weren’t particular favorites for any of our testers. The Classic isn’t as flashy as the other boards on our list, but it’s got a certain rugged je ne sais quoi that earns it a spot on our list. Offers a stable ride and good self-balancing. Parents will appreciate the higher safety rating on the battery. The Tomoloo hoverboards come with not only unique design and some cool looking flashy lights. This model is also fully waterproof, so you won’t have to worry about getting stuck in the rain on the way home. Don’t pick it up and protect it—drive it all the way home with absolutely no problems. The wheels are 6.5” solid rubber, they’re durable and you won’t have to worry about getting a flat as they’re non-pneumatic. Twisting your feed and the center axis bridge—is difficult to do. It’s not just difficult, but very touchy. Although the app is fun to mess around with, the cracks do start to show quickly. “Back to the Future” predicted a time in which hoverboards would be an essential part of getting around, particularly for young people. But while hoverboards are widely available, they don’t exactly match the ones seen in science-fiction films of the past. Rather than hovering in the air slightly above the ground, they sport wheels that are in direct contact with the pavement, concrete and other ground types as you roll along. Since they’re largely popular with younger consumers, safety is one of the top priorities for hoverboard manufacturers. Parents want to know that the product their children are using is 100 percent safe, especially since the early days of hoverboards were filled with stories of fires and explosions. If you’re looking for a hoverboard, it’s important to pay close attention to their safety certifications. Once you’ve narrowed the field to the safest hoverboards, your next concern will likely be usability. Some hoverboards are better than others when it comes to climbing hills and traveling over various terrains. Even if your neighborhood is relatively flat, there may come a day when you want to take it on the road, so pay close attention to these limitations. One thing many hoverboard buyers may not consider is battery life. You’ll have a limited range after each charge, which means you’ll only be able to travel so far before you need to return to recharge. You should also keep charging time in mind as well, especially if you’re dealing with impatient children who will be anxiously watching every second as they wait to get back out there. As you shop for a hoverboard, there are many things to consider, many of which are based on your own personal uses for one. Know in advance whether you’ll be pushing it to its limits or idly riding it around your cul-de-sac. That will help you identify a hoverboard that works for all your own unique needs. Although the hoverboards you’ll find for sale have wheels, a Canadian company has created a version that actually glides above the ground. Omni Hoverboards use magnetic levitation technology to fly above a variety of surfaces, including water. The company behind the hoverboard is thinking beyond recreation though. They envision a future in which magnetic levitation technology could be used to improve public transportation. Although the devices aren’t yet ready for the consumer market, it’s estimated that they’ll retail for between $25,000 and $50,000. A competitor called the ArcaBoard is already available, but it takes six hours to recharge the battery, which then only lasts six minutes. Whether you plan to take your hoverboard off-roading or not, it’s comforting to know you can easily go anywhere. The EPIKGO hoverboard is the best all-terrain hoverboard, able to handle grass, pavement or any other surface you throw at it. It does this thanks to 400-watt dual motors and 30-percent larger wheels. If you’ll primarily be using your hoverboard on stable surfaces, like city sidewalks, a smooth ride may be more important. The TOMOLOO hoverboard offers a stable ride. Although the Segway MiniPro can be a little jerky at times, especially at lower speeds, it does let you use your knees instead of only your feet to steer. This adds an element of stability other hoverboards don’t have. When it comes to safety, it’s important to know exactly which features to consider. One area of safety is with the battery, which had issues in the early days of hoverboards. The EPIKGO, SwagTron, TOMOLOO and Segway MiniPro hoverboards all have Underwriter Laboratories safety certification on their batteries. The EPIKGO hoverboard passed 159 safety tests, with no fire hazards identified. The TOMOLOO hoverboard has a fire-retardant shell, protecting the unit itself in addition to the battery. One concern with the Segway MiniPro is that braking appears to be slower than with comparable units, which means there could be a higher possibility of an accident. 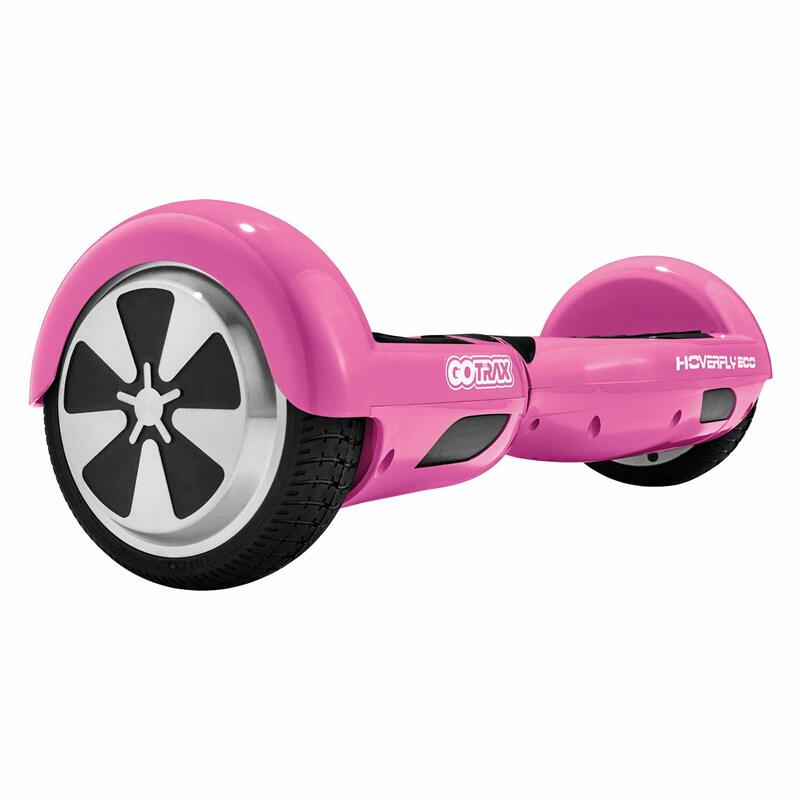 Unfortunately, hoverboards have limited range due to the fact that they run on rechargeable batteries. Both the EPIKGO and Segway MiniPro hoverboards have especially long battery lives, with the EPIKGO’s battery lasting an hour, during which time you’ll be able to go more than 10 miles. You may not think water resistance matters, but consider the possibility that eventually you’ll be caught outside during an unexpected rainstorm. The EPIKGO and TOMOLOO hoverboards are both water resistant, giving you peace of mind of knowing you can handle some rain and the occasional puddle. For the Hoverboard category, we analyzed 104 of the most popular reviews including reviews from Gadget Review, Best Reviews Guide, Tech Gear Lab, The Self Balancing Scooters, Review Institute, ALT Riders and more. The result is a ranking of the best Hoverboards.